The inventor of the Email has passed away at age 74. Direct electronic messages via different machines from different users were invented by Ray Tomlinson. "A true technology pioneer, Ray was the man who brought us email in the early days of networked computers," his employer, Raytheon, said in a statement. "His work changed the way the world communicates and yet, for all his accomplishments, he remained humble, kind and generous with his time and talents, He will be missed by one and all." A company spokesman said Tomlinson passed away on Saturday, March 5, and the cause of death was not yet confirmed. 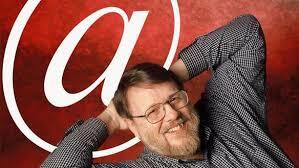 "Thank you, Ray Tomlinson, for inventing email and putting the @ sign on the map. #RIP," Google's Gmail team tweeted. Vint Cerf, considered one of the fathers of the Internet who was once a manager of the US Defense Advanced Research Projects Agency (DARPA), lamented the "very sad news" of Tomlinson's passing. When Tomlinson invented the user@host standard for email addresses, it was applied at DARPA's ARPANET, the Internet's precursor. He was the first to use the @ symbol in this way, to distinguish a user from its host. DARPA is the developer of major US weapons’ systems. Tomlinson is a graduate of the Massachusetts Institute of Technology. Upon ascertaining that what he invented is working as what was expected, Tomilinson said "When I was satisfied that the program seemed to work, I sent a message to the rest of my group explaining how to send messages over the network. The first use of network email announced its own existence." The email is an essential part of the 4th Wave of the Industrial Revolution and has revolutionized how the world communicates with each other. It is the transfer and conveyance of data and information at such speed and volume that has made the difference.